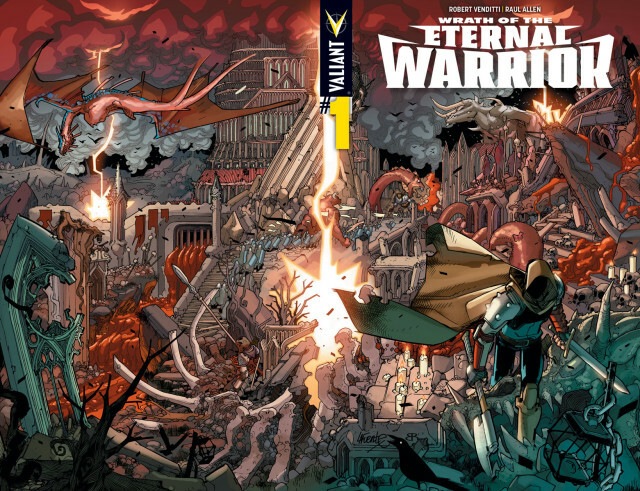 #ValiantSummit: Robert Venditti and Raul Allen Conquer WRATH OF THE ETERNAL WARRIOR #1 – An All-New Ongoing Series Beginning in November! 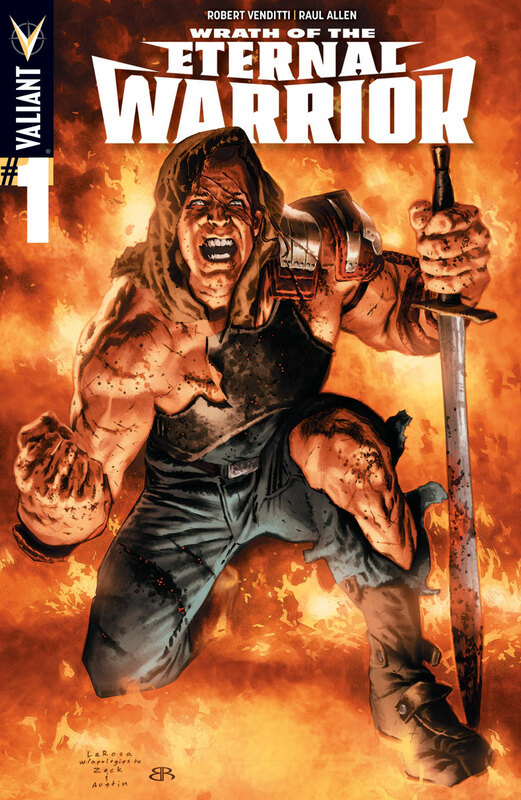 Valiant is proud to announce WRATH OF THE ETERNAL WARRIOR #1 – the FIRST ISSUE of AN ALL-NEW ONGOING SERIES from New York Times best-selling writer Robert Venditti (BOOK OF DEATH, X-O MANOWAR) and acclaimed artist Raul Allen (BLOODSHOT REBORN, Hawkeye)! 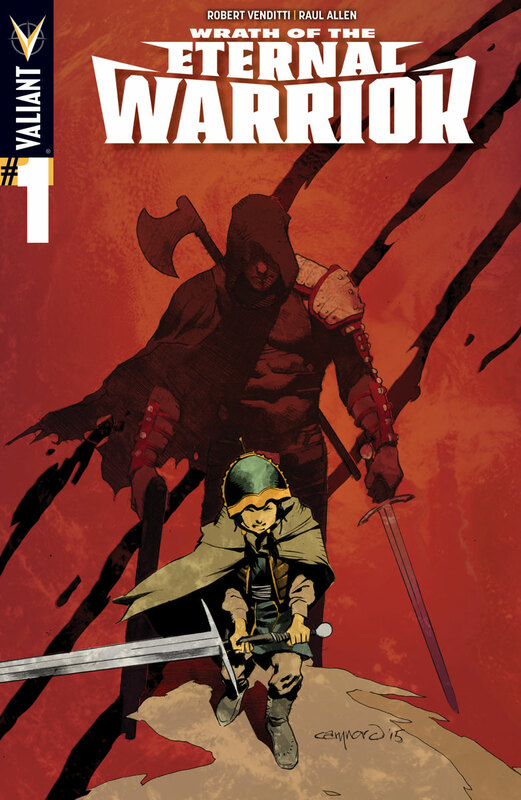 Arriving in stores and online this November, Valiant’s latest ongoing series picks up in the aftermath of this summer’s colossal BOOK OF DEATH event series and will mark the first full-length Valiant series for illustrator Raul Allen, who has joined the publisher as an exclusive artist for the launch of WRATH OF THE ETERNAL WARRIOR. 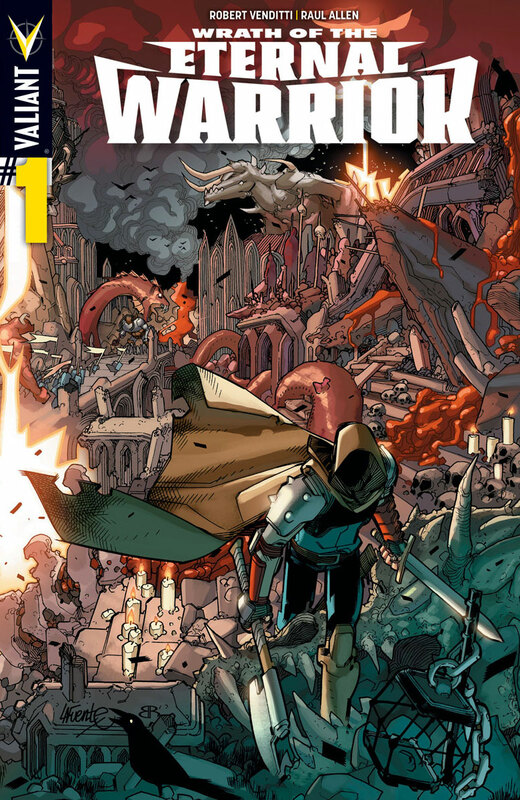 “From X-O MANOWAR to ARMOR HUNTERS to BOOK OF DEATH, Robert Venditti has played a key role in shaping the course of the Valiant Universe. Now, he’s bringing the same epic inspiration to WRATH OF THE ETERNAL WARRIOR. 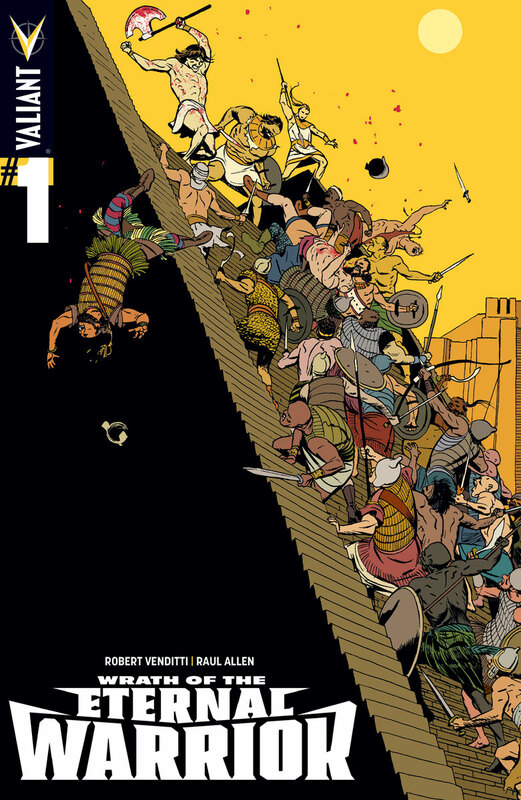 You’ve never seen a comic book quite like this. You’ve never seen a story quite like this. It’s risky, it’s ambitious, and it’s awesome,” said Valiant Editor-in Chief Warren Simons. This November, master storytellers Robert Venditti (BOOK OF DEATH, X-O MANOWAR) and Raul Allen (NINJAK) forge a new legend for the Valiant Universe’s immortal master of war with an all-new ongoing series in WRATH OF THE ETERNAL WARRIOR #1 – featuring covers by David Lafuente (Ultimate Spider-Man), Marcos Martin (Amazing Spider-Man), Cary Nord (X-O MANOWAR), and Lewis LaRosa (BLOODSHOT REBORN)! $3.99 | 32 pgs. | T+ | ONGOING SERIES | ON SALE IN NOVEMBER!